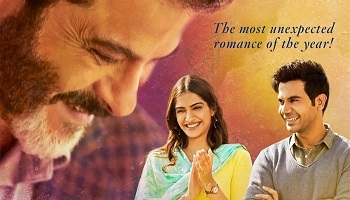 Ek Ladki Ko Dekha Toh Aisa Laga First Week Collections Update- Checkout up to date and complete Box Office Collections of the Anil Kapoor, Sonam Kapoor, Rajkummar Rao starrer. The movie released in India on 01 February, 2019. Day 1 Collections - The film had a poor start on Friday morning as the collections at many centers was below 10%. The evening showed decent growth and the film ended the 1st day with only 3.30 crore. Day 2 Collections - EK Ladki Ko Dekha Toh Aisa Dekha showed decent growth on its 2nd Day of around 40% which should have been higher so that the film could hold up well on weekdays. The collections on Saturday are around 4.65 crore.